Wayne has just completed the 3rd project in our home – again a totally great experience. Price, advice, delivery, quality, to time -without any problems. This family cannot speak more highly of Wayne’s professionalism and he is a pleasure to deal with. Great listener, superb craftsman, highly recommended. Thank you for our new dresser. We absolutely love it! Many thanks for all your work,communication,interpretation and finished work its all great. 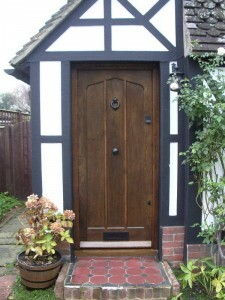 The oak front door that you fitted for us today exceeded all our expectations. Beautifully crafted, it looks so right for our property that it could have been there for ever. A really pleasurable job from start to brilliant finish. Thank you. Many thanks for building our new swan necked front gates for the house a splendid job. Highly recommended. 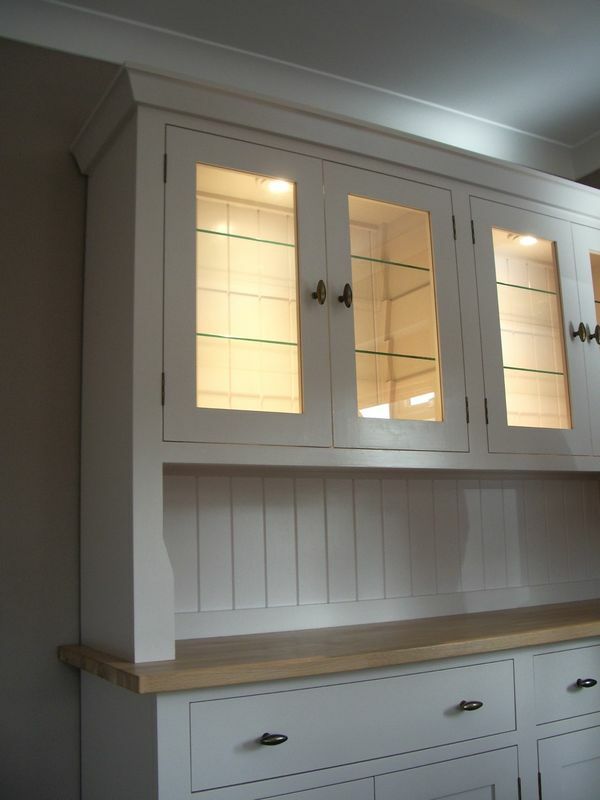 We have no hesitation in recommending Wayne and Jenkinsons Bespoke Joinery – very high standard of work undertaken with expertise and care – proper joinery!! 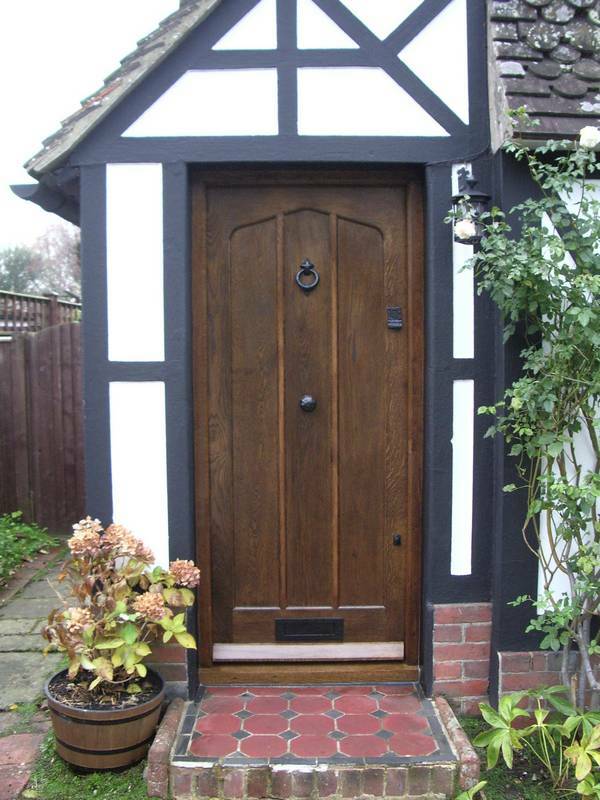 He made and fitted a large pair of exterior 6 panel oak Georgian doors and oak frame for us – on time and as quoted. Top class professional – thoroughly recommend. We feel confident in recommending Jenkinson’s Bespoke Joinery to our clients, who are looking for high quality joinery items. The firms background in timber engineering ensures that they can produce excellent finishes whilst remaining competitive. Jake White, Managing DirectorEcotecture Ltd. I commissioned Jenkinson’s bespoke Joinery to make me display cabinet for exhibitions of my Jewellery range at wedding fairs. Having looked extensively at pre-made units, I discovered that none were suitable , nor of the quality that I desired. On consulting Wayne with my guidelines of size and style, he drew me up the plans of the perfect display cabinet with no detail spared. The end result was a beautiful cabinet with amazing build quality, that assembled and disassembled with ease. It is build so well that it was actually admired by my fellow exhibitors, in some cases more than the contents! I would have no hesitation to recommend Wayne’s services to anyone who requires something extra special that is built to last. Thank you. We decided to replace our existing stairway when our grandchildren showed they were more than capable of climbing over the balustrade. We asked around and looked at many different stairways on-line, and, although we saw examples of stairways we liked, we were unsure which type would best suit our situation and our needs. A friend recommended Wayne, and this was confirmed by a local tradesman who had done some work for us previously. We found Wayne to be very knowledgeable, and very good at listening to our views, and guiding us. Consequently, we arrived at a balustrade system that has surpassed our own expectations, and now perfectly fits in with the hall and landing design. Wayne carried out the works with great attention to detail, and excellent technical skills. Never hurried or ruffled, he completed the job on time, arriving each day on time, and leaving our home tidy and clean each evening. Subsequently, Wayne has renovated our loft beautifully, and we have only recently asked Wayne to undertake another smaller task within the house. We are pleased to recommend Jenkinson’s Bespoke Joinery.